It looks like we’ve finally reached the end of this polar vortex—a winter so cold they actually had to rename winter! And while we’re looking forward to the warm weather, we want to remind everyone to be careful—all that snow we had is going to melt, and all that melted snow can do some real damage! Electrocution: be extremely careful with any standing water in your home, especially if you have power. Water conducts electricity very readily, and since you never know if it’s charged, walking through it could lead to serious injury. Gas Leaks: if your furnace or water heater have taken on water during a flood, have them inspected before you use them. Standing water can quickly erode the different components within your appliances, and this damage can lead to dangerous gas leaks. Bacteria: flood water is not the cleanest, and often contains potentially harmful bacteria. If you do have to walk through standing water (remember—make sure you deactivate the power first! ), be sure to wear high rubber boots to minimize contact with the water, and afterwards wash any skin that may have touched the water. Mold Growth: when the flood water finally recedes, the problems aren’t over yet. Damp areas create the perfect environment for mold growth, which can make you sick and do even more damage to your home. Have you had your sump pump tested? Sump pumps are designed to prevent your home from flooding, which means this weekend they’ll be working overtime! Be sure to test your sump pump as soon as you can, making sure it hasn’t been clogged by anything like gravel, dirt, or debris. It also helps to have a battery backup for your sump pump, which will allow it to run even if you need to cut the power to your home. Fortunately, testing your sump pump is fairly easy. You should find it located in the basement of your home, and once you do, pour a few gallons of water into it. The pump should kick on immediately and start pumping the water out. If it does, you should be safe for the major snow melt. If not, call R.V. Carey’s as soon as possible! We can repair or replace your sump pump just in time to prevent any major flooding in your home. When your sewer drain backs up, the appropriate response varies depending on the color of the water you’re seeing. Black: black water is sewage, and results from a clog in the sewer line. A plumber from R.V. Carey’s will be able to clear out the line and keep the sludge moving away from your home. Clear: a clear-water backup usually means there’s an overflow in the city’s main line. A big melt causes a large volume of water to flow into the line all at once, and if some sewer drains are clogged with snow, the system may not be able to handle all of the water right away. Usually these types of clogs aren’t a big deal and will clear up shortly. If the backup persists overnight, however, there may be a clog in their line. 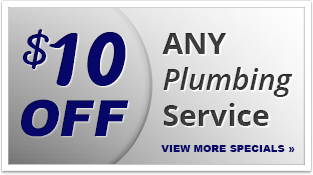 If you’re careful with your plumbing system, you should be able to enjoy this nice weekend with no problems. But if you do need plumbing service because your home is flooded, don’t wait—call R.V. Carey’s!